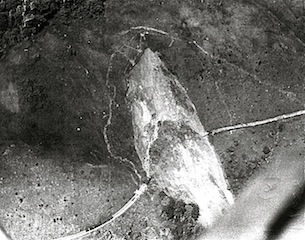 The history on how the Barron River lost its vegetation and what resulted. 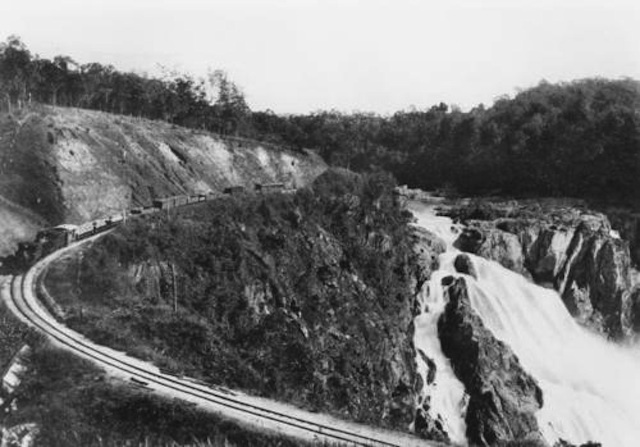 Early photos of the Kuranda to Myola settlements, during and after the Kuranda Railway construction, depict the deforestation and consequent landslides that usually occurred during heavy rainfall (sources: TROVE and Cairns Historical Museum - see Bibliography). 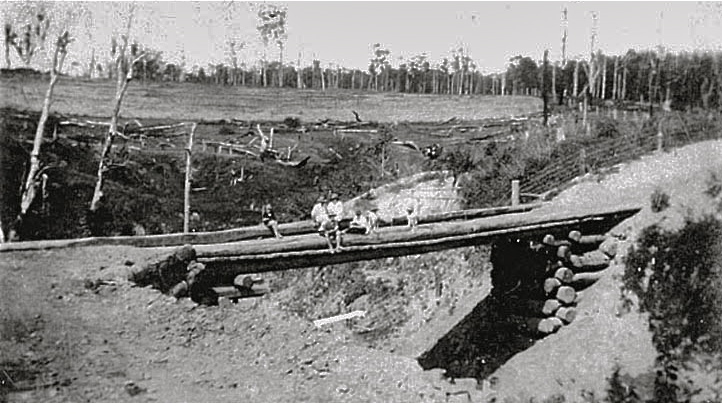 1890 - Thousands of men, as well as their families living on site, constructed the railway by hand. Much of the timber was used for sleepers, fuel for cooking and building material for the workers’ shelters. 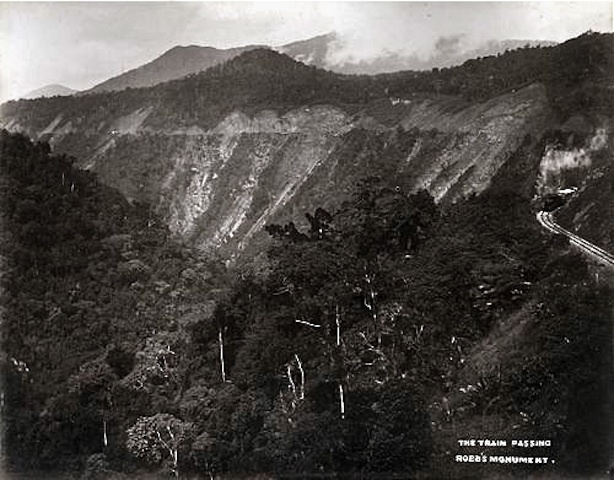 1954 A massive landslip probably caused by deforestation and heavy rain. 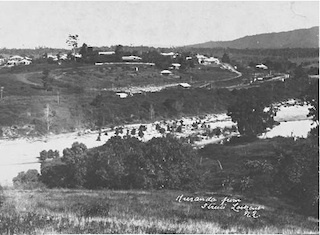 1906 Kuranda Village taken from Street’s coffee plantation. 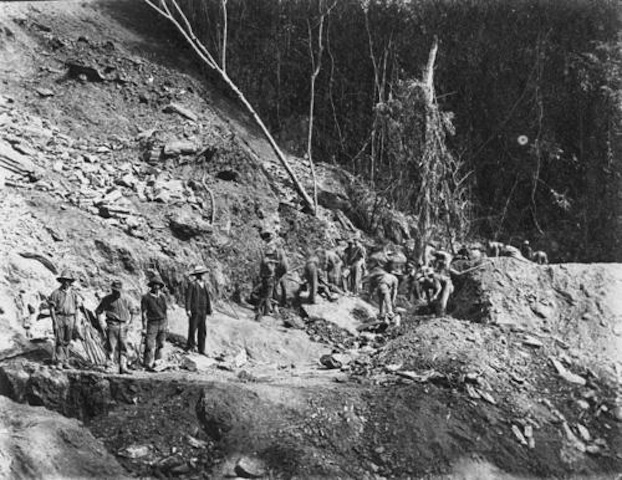 The white section in the middle is the sandy beach of the Barron River before the weir was erected. To go to the post-colonial history page click here. Back to previous page click here.